Power cord length: 11 ft. 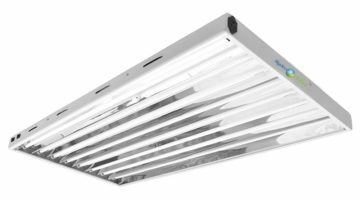 If you are looking for a massive grow light fixture that will cover a large area with bright light but won’t consume a lot of watts, then you might want to look into this Sunleaves Pioneer VIII T5 fixture. This lamp overall consumes only 432 watts of electricity while giving out about 40,000 lumens worth of light that will allow your plants to thrive under it and help them grow or bloom better (depending on what type of bulbs you use). 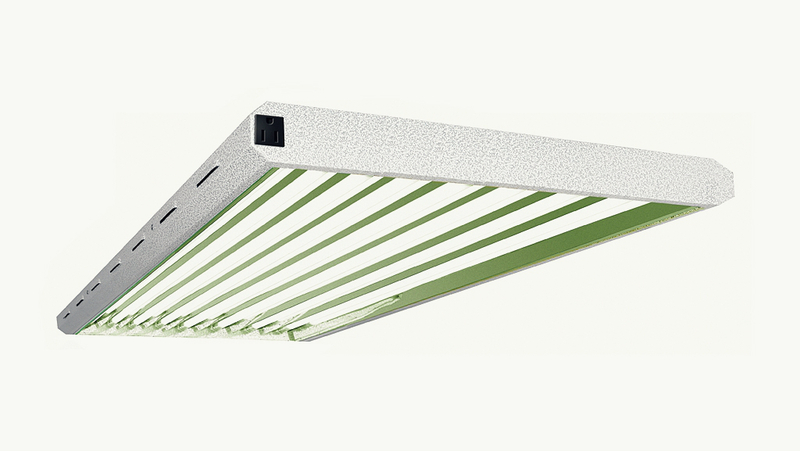 Among the additional features of this fixture there are things like durable ballast and reflector combination, slots on the sides of the fixtures housing for better ventilation as well as it comes with extras like a hanging kit, 11 feet long power cord and daisy-chain option that will help you set up your grow light and position it so it sits perfectly over your plants, providing them with the best and brightest possible light. 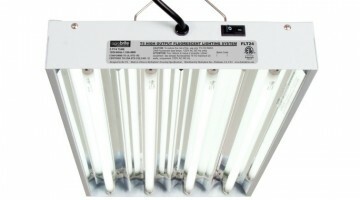 This 8 bulb fixture is made by a company called Sunleaves Gardening Products or SGP for short. They are all growing essential manufacturer who sell everything from growing mediums to nutrients to of coarse grow lights. Founded in 2001 SGP has the experience as well as the technology to be able to produce qualitative and well-made grow lights for gardener of any skill level. 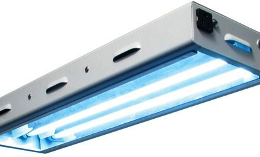 The ballast that is installed into this Pioneer brand fixture is a Fullham Workhorse electronic ballast that will provide high-quality voltage and current flow to ensure that this fixture runs smoothly. As for the light reflection this fixture come with a reflective interior that serves as the reflector providing that all light will go straight to the plants that are under the light. 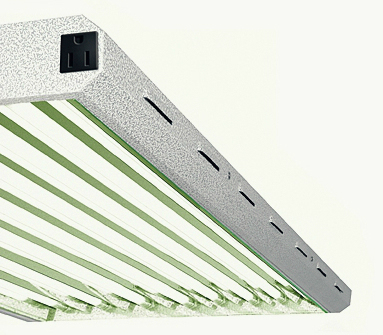 Housing of this grow light is made from powder coated steel that has a slight texture to it giving the fixture an interesting and unique look. The color of the fixture is white meaning that the fixture will look well in most spaces. And there are 7 louvers on each side of the fixtures housing providing an even better ventilation and cooling of the fixture and its bulbs. 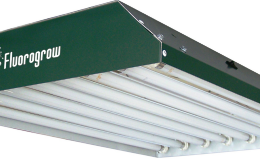 Because this is a Sunleaves Bloom T5 fixture it comes with eight VitaLUME 2,900 Kelvin bulbs that will provide warm red lighting to help plants bloom faster. But if you need vegetative bulbs to promote plant growth, you can exchange these bulbs for 6,500 Kelvin bulbs that are meant just for this purpose. 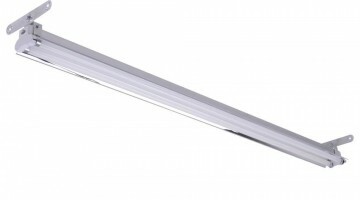 Seeing as this grow light is a 4 feet 8 bulb fixture its dimensions are 47 x 25.5 x 2.25 inches (119.38 x 64.77 x 5.71 cm) and it weighs 31 pounds (14 kg) which is pretty good for such a powerful lamp and will allow you to hang it wherever you need it. I have a Sunleaves Pioneer VIII T5. The other day as I had the light on, there was a flash, the first two lights on both edges went off with the remaining for inside light remained on. I have changed bulbs but they still don’t come on.ni am hoping you might give me an idea as to why. Thank you. 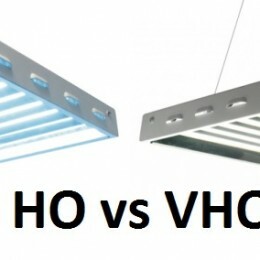 It might be that you accidently blew one of the ballasts, so I would suggest you change that ballast (there are tons of tutorials online on how to do it or you can hire an electrician to do it for you) and see if your bulbs come on. If not, then the problem is somewhere else.